“Welcome to the Water” is coming back! Video and still photo crews were busy capturing footage for the new Welcome to the Water campaign. So, it’s a welcome announcement by Carl Blackwell, president of Grow Boating and NMMA’s senior vice president of marketing & communications, that the popular “Welcome to the Water” banner will be flying again this spring, bigger than ever. It was a popular theme of the national Discover Boating campaign from 2011-2014. There was also widespread participation by dealers that displayed the Welcome to the Water message like no other. Why we would even see many boats in shows displaying Welcome to the Water clings on windshields and signs, as well as windows back in the showrooms. As you read this blog, I’m on scene observing the Discover Boating team producing all-new photos and videos . . . and TV spots. They’re capturing boating action ranging from fishing to wakeboarding. The video material will also be utilized in Discover Boating’s constantly growing digital ad campaign this year. In addition, myriad new still photos also being shot here. With camera boats that look like floating movie studios, and drones whirling overhead, the fun and variety of boating is being digitally captured. 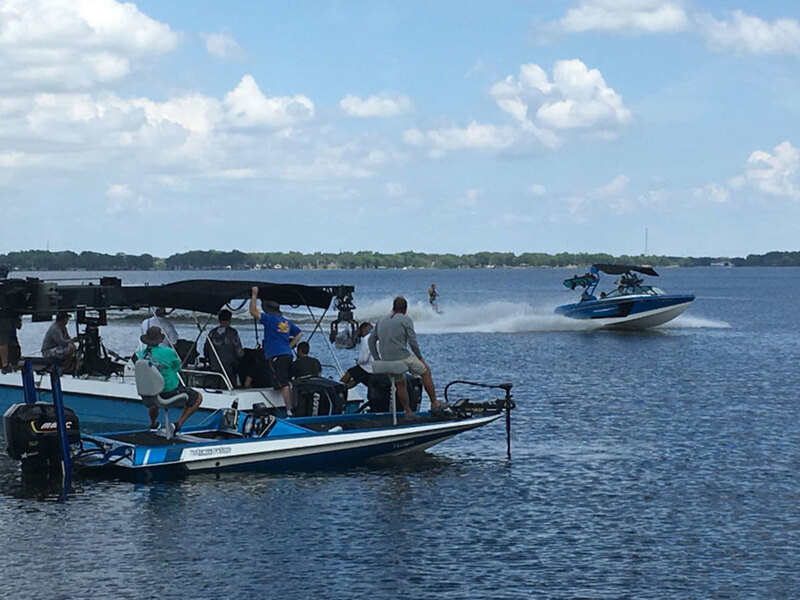 We see a family towing kids on a tube behind its pontoon; couples out cruising around in their bowriders; the action of a wakeboarder literally flying high behind a towboat; a couple fishing from their center console, and more. The new Welcome to the Water campaign is expected to hit the market shortly, timed to the industry’s prime selling months ahead. In the meantime, it’s important to reiterate that there is already a vast library of great videos and other Discover Boating materials available to dealers absolutely free. To being exploring great things that can be added to websites and other digital marketing programs, spend some time in the Grow Boating Industry Resource Center. Simply go to: www.growboating.org.